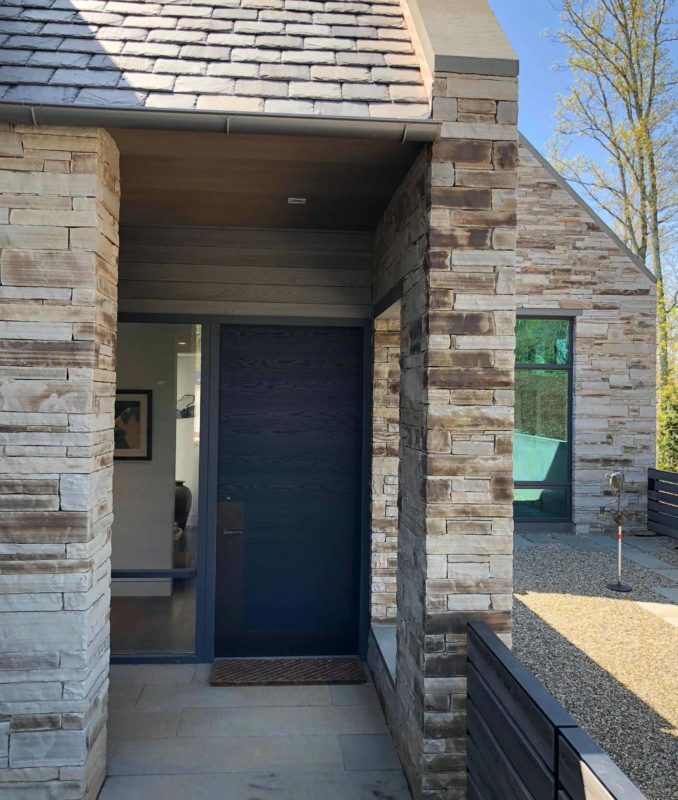 Architectural Woodcraft was hired by Carlton Edwards Architecture to build custom exterior entrance doors for this new construction home. Because of the horizontal slat design, we built the doors with an internal torsion box to prevent warpage. The doors and sidelights were built with white oak and the doors use a pivot mechanism instead of traditional hinges. 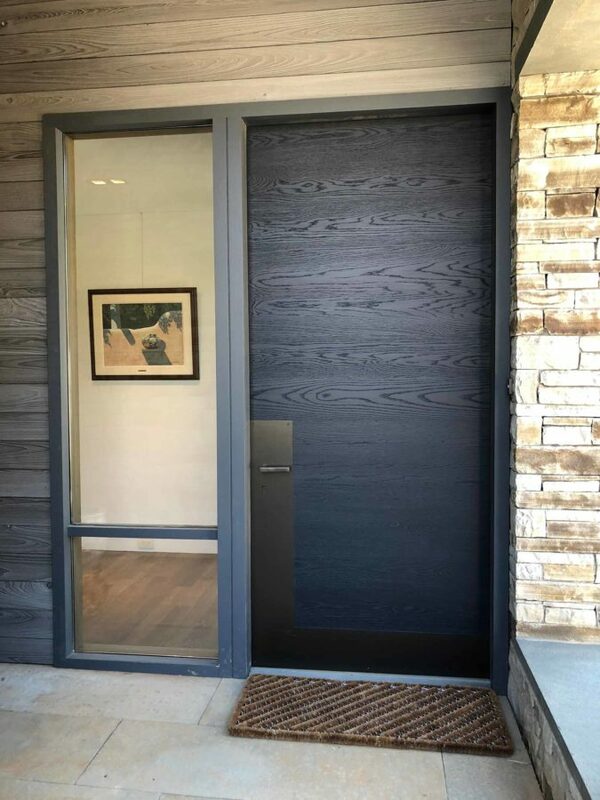 Pivot doors have pins at the top and bottom of the door, and provide a large opening with minimal floor space interruption. We finished the doors with a dark gray, environmentally friendly stain that complements the trim paint color of the house. 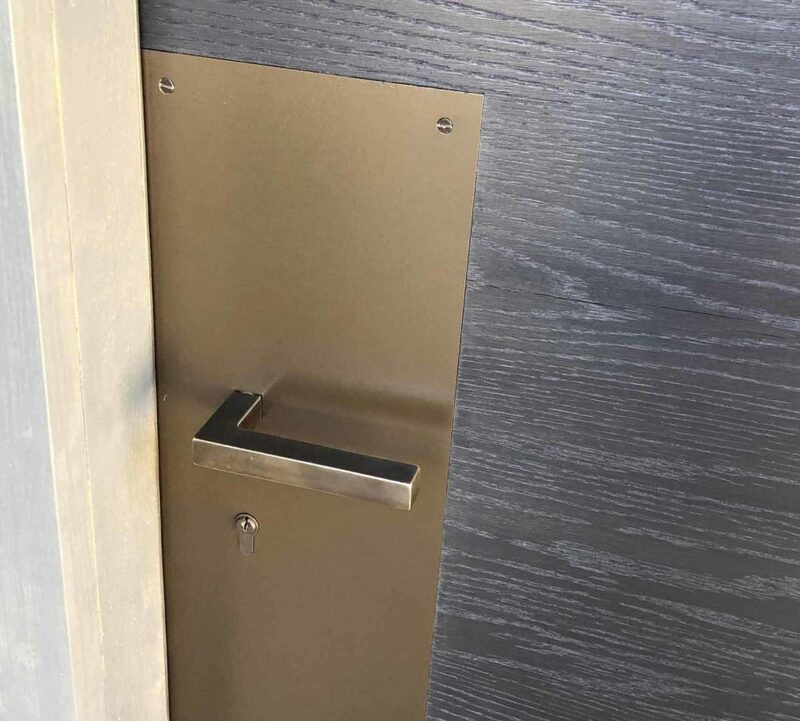 We used elegant, contemporary styled brass hardware designed by Daniel Marinelli, and installed the doors to finish the job.